Of course budget and employing the resources is pivotal. But, growth comes from being more strategic and tactical. It’s important we adhere to a data-driven approach, attention to detail and focus on driving revenue. Plan your strategy with clear and realistic goals. Chalk out your plans and zero on achievable direction for growth. Make sure you’re setting realistic goals for your employees. But it needs to be flexible. You’ll have to create accountability by assigning individuals specific tasks they must get done during a certain time frame. You want these goals to be clear and appropriate for the talent an employee possesses. To keep yourself and your team on track, Progress meetings are organized. These help to focus the team around growth marketing and key revenue drivers. Successful growth meetings involve all the key collaborators on a project to ward off potential problems. Also to plan and work out for future growth. This monitoring helps track people and activities to rationalize non-performers. Marketing is a highly collaborative profession — we depend on different teams within the organization as well as many external vendors. There are plenty of things that we don’t have control over. But being too aggressive with timelines will disappoint your team and management and throw off your marketing calendar as well. Estimate and schedule accurately the amount of time, projects consume. Tracking time utilization lets you take effective decisions for better growth. As you know, marketers often miss the target when (i) they are unable to see through the pit-falls and (ii) not able to map their efforts. It’s because their activities are not measured analytically. A scrum meeting enables you to prioritize on backlogs and improve production. This is best way to streamline your marketing workflow. Even if you sit in the same office and interact with all those you collaborate with everyday in the same place – you still need a work collaboration management tool to keep all your communication, files, updates, priorities aligned-in-one-place. Going in and out of your email, instant messaging, notepads, sticky notes and looking for information from multiple sources are strenuous time killers. Find out how SFCG, a marketing agency is using Orangescrum to increase their prodctivity & achieving success! According to a research it is proved that, 15% – 20% of workweek is spent on looking for internal information and tracking a coworker, who can help with a specific task. A big reason of inefficiency in marketing teams is reworking on the process every time a project is launched. 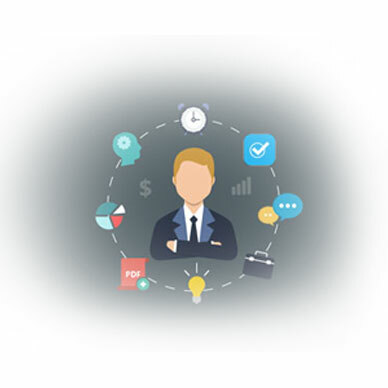 You can standardize processes, workflow templates and get customized as per your team’s workflow. These Templates will help teams produce works smoothly and efficiently without loss of time. Use tools to manage recurring tasks. These simple yet tactical shifts in managing your marketing team will bring in amazing results, both for your internal team and benefits for your clients. It’s becoming increasingly important for marketers to have a strong understanding of new technological tools like Orangescrum and manage themselves efficiently, one of the easiest project collaboration suite for you and your team. 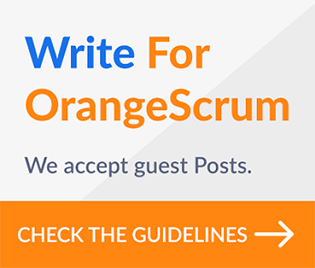 Orangescrum for Marketing Agencies Marketing, Sales, Freelancer, Startups, SMBs – Orangescrum is for ALL! Efficient Project Management with Orangescrum Add ons (Infographic) Increase Productivity with Orangescrum-Daily Catch-up!